Today is the first day of a lot of great running in 2018. Lots of running and lots of races are on tap for so many runners during this bright new year. For women runners, the majority of the time we run without makeup, right? My daily beauty running routine consists of moisturizer and sunscreen plus a little bit of lip gloss and that's pretty much it. I wash my face as soon as I return from a run (usually in this order: finish the run, stretch my calves, light additional stretching, water, refueling snack, more stretching and core + strength on strength days, then shower/wash face) and put on more moisturizer, under eye cream and a serum. What about race day? After all the training and work it's finally time to race and have fun. When the race pictures are e-mailed after the race, you want to look your best - healthy, glowing, and receiving a picture that you can look back on with a smile. Race day is practically the only day I'll wear makeup during a run. I love showering the morning of a big race, smoothing back my ponytail, pulling on a fun race outfit and applying a little bit of of color to my face. When I stand on the starting line, I feel fresh, confident and ready to run my best. 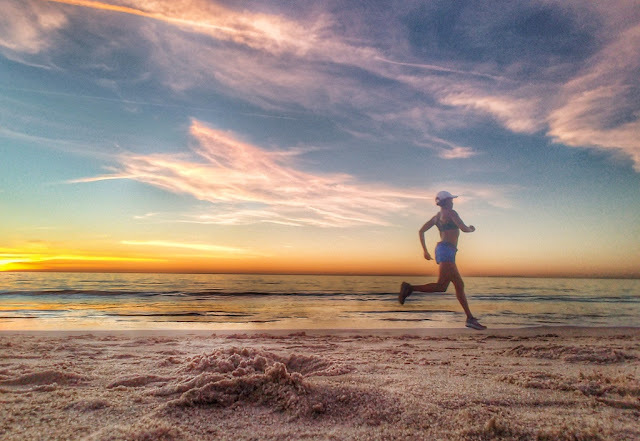 I have noticed this topic coming up more in our sport - we are seeing more and more women runners put time and thought into their appearance (cool racing kits, colorful shoes, hair accessories and makeup) which results in great looking ambassadors for the sport of running. After wash and moisturizer I use THIS foundation, THIS powder (It's doesn't have any color, so anyone can use - I love how light it is! 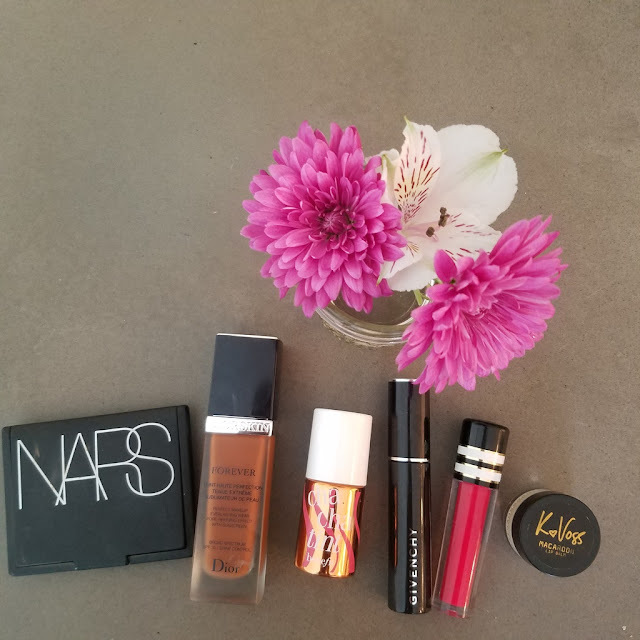 ), THIS cheek stain for a little pinch of color, THIS awesome mascara with a really cool brush, THIS lip balm, followed by THIS lip gloss. Alright, let's dive into 2018 running fast and looking awesome - sound like a plan?